Four SES Networks O3b Medium Earth Orbit (MEO) satellites were successfully launched today, adding to a constellation that now numbers 20 satellites. 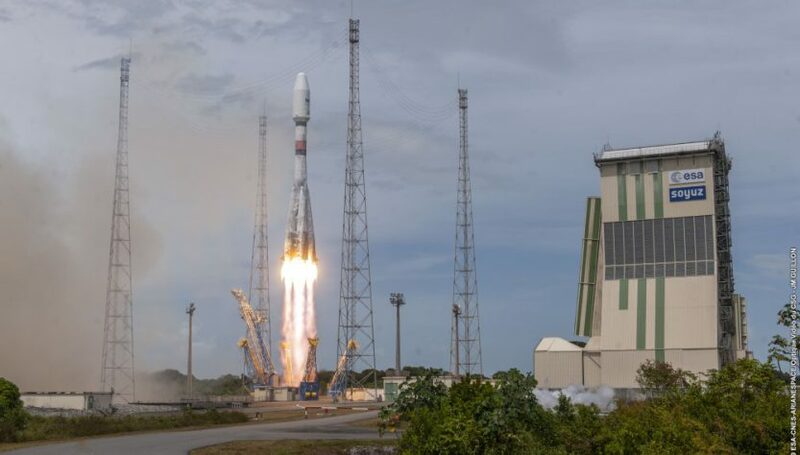 The Soyuz launch was conducted by Arianespace at the Guiana Space Center in Kourou, French Guiana at 12:37 PM ET. O3b’s satellites orbit at an altitude of 8,000 kilometers, reducing latency down to 140 milliseconds, a quarter of the 500 milliseconds for geosynchronous Earth orbit (GEO) satellites. Each satellite has twelve fully steerable Ka-band beams with a top throughput of up to 1.6 Gbps per beam, with “fiber like” performance and availability for MEF Carrier Ethernet certified services. Current customers for O3b include government, telecom, cloud, maritime and energy markets. The completion of the O3b network markets the transition into SES’s next-generation MEO system, O3b mPOWER. The first seven mPOWER satellites are being built by Boeing with the first launch taking place in 2021. Each satellite will be able to provide up to 30,000 beams across an area and add tens of terabits of capacity.